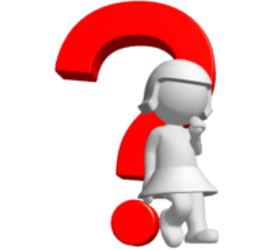 What is Dropshipping? - Brigitte Belsky ~Helping You Create Your Laptop Lifestyle! Dropshipping is another legitimate business model that some online marketers find success with. You may unknowingly have purchased many items from Retailers websites or other marketplaces like Amazon or Ebay, but received the goods directly from the manufacturer or wholesaler. Many big catalogue and mail order companies use this method too. Dropshipping is an order fulfilling business model whereby the Retailer never physically sees or handles the product(s) he/she sells. The customer thinks the product came directly from the Retailer. The biggest difference between the ‘Dropshipping’ and the ‘Standard Retail’ business models – is that the ‘Dropshipping Business Retailer’ doesn’t handle, hold or own any products (stock). Firstly what are manufacturers, wholesalers and retailers? A Manufacturer is a business that makes goods for sale. A Wholesaler (also known as a distributor) is a business that stocks another business’s products, such as those from manufacturers, and then sells it on to the Retailer. A Retailer is a business that sells directly to a buyer / customer / purchaser. Mmm… Not as easy as looking for Affiliate Programs. 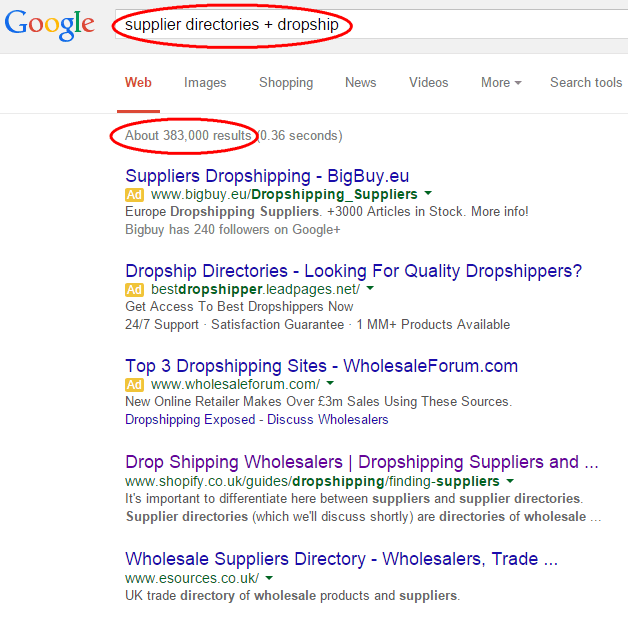 Googling ‘manufacturer + dropship’ or ‘wholesaler + dropship’ or ‘distributor + dropship’ will give you many results, but they’re not all that they seem. Sifting through these results is the dilemma as many other would be retailers of goods drop shipped have commented. Not many manufacturers will deal directly with small Retailers. But if you want to sell their product, ask them to recommend which of their wholesalers will drop ship. A thought worth considering when choosing suppliers is your customer’s security. As an online seller passing on your customer’s personal information to a shady third party could hurt your customers and your own reputation! So you’ve found a manufacturer or wholesaler who could dropship on your behalf, now what? Give them a call and ask to be put through to the person who deals with vendors for their dropshipping products. That person is best placed to answer any questions you may have in doing business with them. Have a list of all the questions you need answering before making the call, you may want to print off the ones below for ease. Note down the answers & any other questions that come to mind fuelled by the answers. What are their requirements for doing business with them? What business structure do they do business with? They may not deal with solopreneurs /self employed businesses. Minimum order sizes? 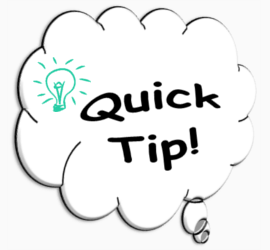 Some suppliers will require that your first or every order be of a certain value. They do this to filter the serious business owners from the dabblers who waste their time. So what could you do if you don’t know what you’re customers are going to order or when? Offer to pay the minimum order requirement up front to be applied against your dropshipping orders. This way you fulfil their requirement, show your seriousness and not left with a stock of products with no orders. What are their wholesale product prices & for what quantities? Not all manufacturers or wholesalers will ship just one product, so worth knowing before proceeding. Plus knowing the prices will help you decide if you can make the profit you’re after. Where do they ship to? Is it internationally? Which countries? Locally or Nationally? Are there any special things you need to be aware of for each location? How do they ship the orders & how much is it? 2) How much you need to add to the cost of the product. There most likely will be some packaging and handling fees. These fees are normally to cover their cost of picking, packing and processing the order for you. You’ll need to know what they are to add to the cost of the product. What is their product returns policy? Don’t get caught out dealing with those that do not accept returns. You’ll be the one footing the bill for the replacement. However most reputable manufacturers will offer some sort of warranty or guarantee with a returns policy. How & when will you be billed? Usually your credit card will be charged for the product wholesale price, shipping, handling and any other fee associated for processing your order at the time you place the order with them. Sometimes you may be offered an account where you pay at the end of the month or net 30 days from date of invoice or some variation of this. Can it be done online? By email? By phone? Basically you’re looking for the quickest & most secure way to place your orders. Do they have online tools to help their retailer partners? Do they have an online catalogue? Price list? Is there access to their real-time inventory? Looking to really Brand your business? There is a possibility that in time and if you do enough business with your supplier, you may be able to arrange with them to use your Business’ labels on the packaging. Is an online Dropshipping business for you? We’ve looked at what Dropshipping is, how it works, how to find suppliers, what to know to make an arrangement with a supplier. These and the creation of a web presence are the starting blocks. So is it for you? What’s the outcome? Is it for you? Yes? No? There is a trend of online resellers using a slight variation of the Dropshipping Business Model we’ve discussed above. 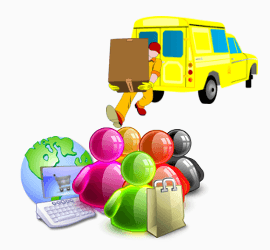 They call it Dropshipping which in theory it is, with the exception of searching or forming any relationship with suppliers. It’s all product driven. There are businesses out there promoting making money Dropshipping. Where they teach people to find products on Amazon and resell it on Ebay at a marked up price & vice versa! Mmm… I’ll let you draw your own conclusions! With everything discussed here you have plenty to contemplate and assess how good a variation this is & if it is for you!